September 2, 1954 – Ten thousand people watch as the captured German submarine U-505 is hauled across Lake Shore Drive at Fifty-Seventh Street on its way to a permanent place at the Museum of Science and Industry, Chicago’s Science Museum at the time. 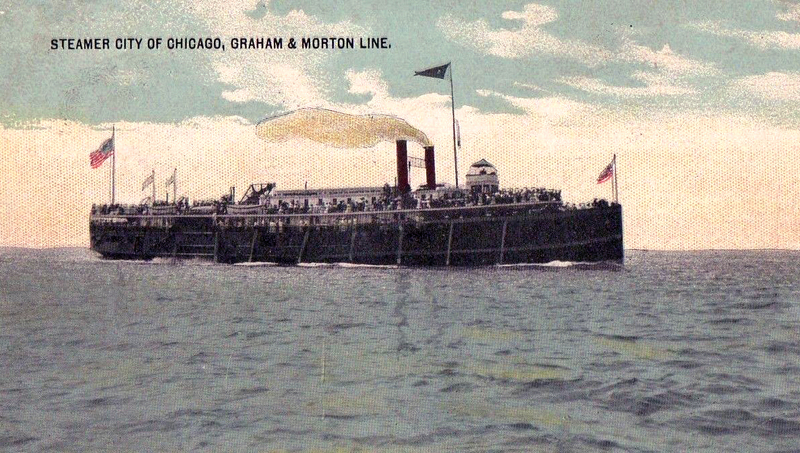 The drive is closed to traffic at 7:00 p.m. and opened again at 7:00 a.m. the following day as the submarine is moved on rails for a distance of 300 feet across the highway Directing the move is Rear Admiral Daniel V. Gallery who commanded the task force that captured the vessel off the coast of West French Africa in 1944, taking control of the first submarine ever commandeered in naval combat. Workmen of the La Plant-Adair Company, a house moving company from Indianapolis, are in charge of jacking up the submarine and transporting it safely to its final resting place at the museum. 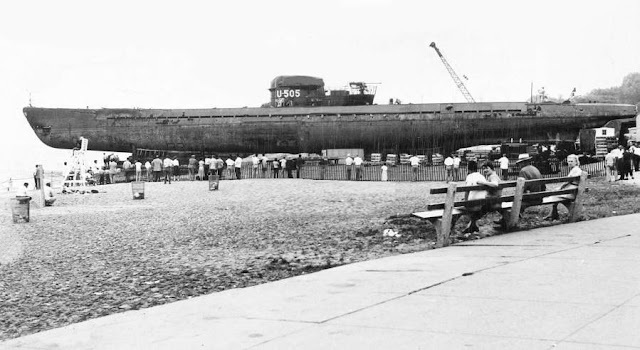 The above photo shows the U-505 sitting on the beach at Jackson Park after being rolled off the floating dry dock preparatory to being hauled across Lake Shore Drive to the Science Museum, today's Museum of Science and Industry.